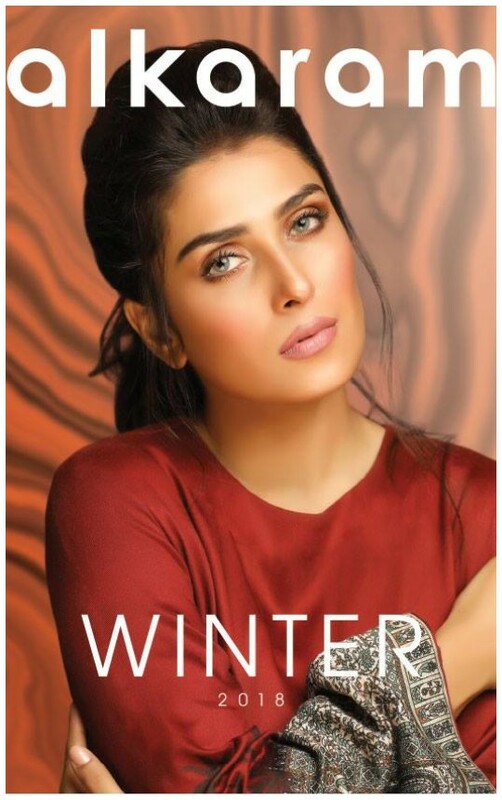 What’s In Store: Alkaram Lauches Their Winter Collection Featuring Ayeza Khan! 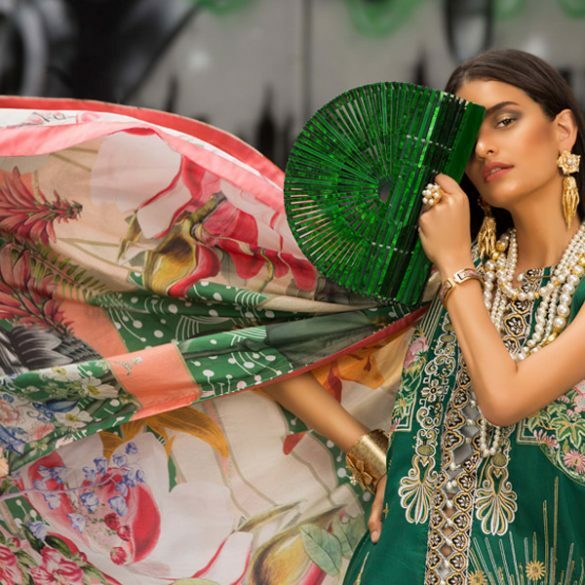 Alkaram studio launched their latest winter collection on the 27th of October and it’s safe to say we’re completely smitten with their luxe range of looks! This season the brand celebrates elements from around the globe with an extensive mix of cultures showcased through the collections patterns, styles and colors. 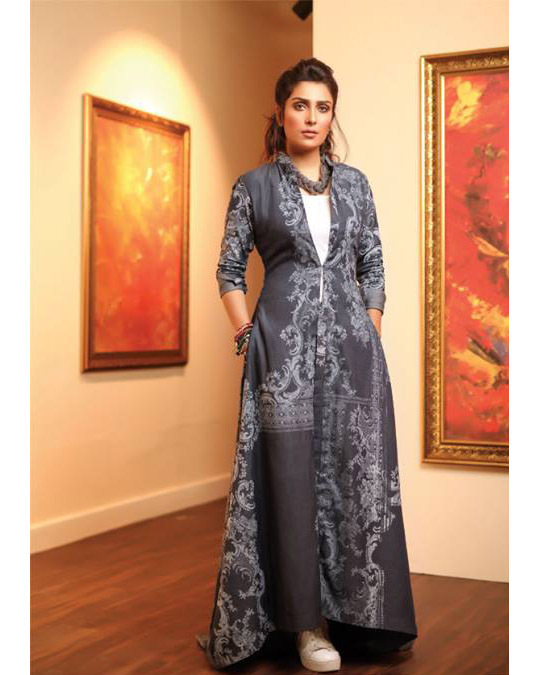 A line that combines traditional eastern imagery with modern day silhouettes- fusion wear is where it’s at and Alkaram nails these looks effortlessly. With gorgeous actress Ayeza Khan as their brand ambassador- exuding timeless elegance and grace; this star makes each ensemble look effortlessly chic- she also surprised Alkaram shoppers at the collection launch at Emporium Mall Lahore! Fusing the old with the new, the new winter collection is a perfect reflection of the woman of today, forging her path in a brave new world while honoring the traditions of yesteryear. The brand incorporates lush shades of cranberry reds, steel greys, plum purples, midnight blues and chrome yellows into the collection ensuring we truly feel that fall vibe! With a mixture of motifs from paisleys, Spanish florals, geometric patterns and baroque prints; using these elements and trendy silhouettes Alkaram brings the collection to life. Add a pop of ruby red to your winter wardrobe with their paisley printed kurta; tie your hair in a lazy girl topknot and head out for a casual chic lunch with the girls! Opt for true blue hues and slip on their kurta in multi-shades of blue; pair this look with sky high heels and tousled curls for a high fashion spin on everyday wear. What's In Store: "Lily & Gold" by Yasmeen Jiwa!